Located approximately 23 miles northwest of Sisters, Pioneer Ford is one of the most popular campgrounds in the area because most of the sites are mostly private and shaded amongst a mixture of pine and cedar trees. It also doesn’t hurt that it is perched right on the scenic Metolius River with access to fishing and numerous hiking trails. 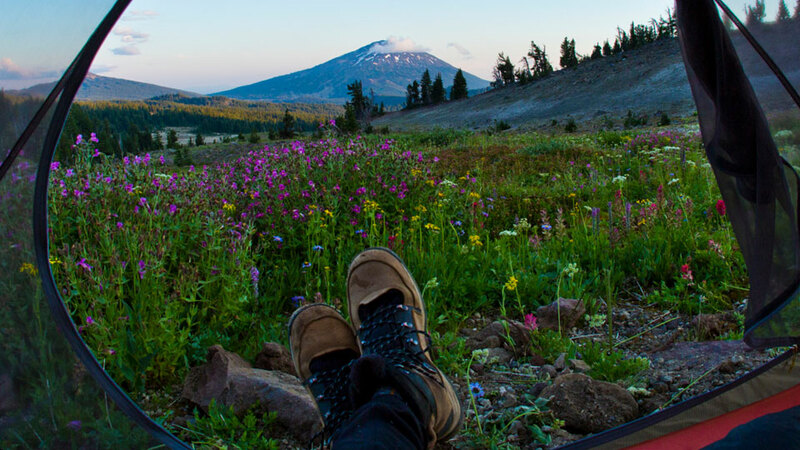 Many people enjoy Pioneer Ford because it is further away from other Metolius-area campgrounds, so it is quieter while still offering close access to Camp Sherman and the Head of the Metolius. Pioneer Ford Campground maintains 20 camp sites, and is well-suited to trailers, tents or RVs with its mix of back-in and pull-through sites. Many sites are right along the Metolius River and site eight also has an adjacent picnic shelter. This facility has vault toilets as well as drinking water, and each site is equipped with a fire ring and picnic table. The facility is generally open from late May to early September; sites may be reserved and the per night fee is $18.